Bella Jean Boutique: Happy 4th of July Everyone! I hope you all enjoy your 4th of July! 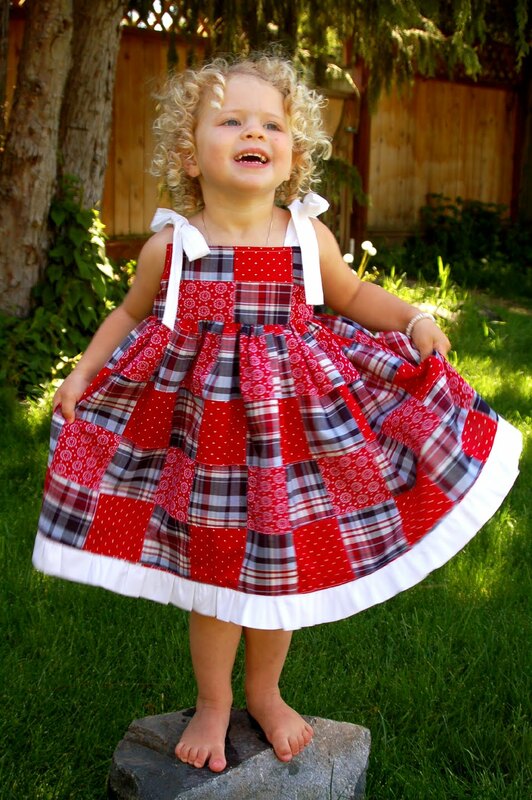 Here is a picture of the 4th of July dress we sold this year. Don't you love it when the fireworks are all booming and bursting with color, as you listen to Sousa Marches? It makes me get chills down my spine...oooh.... Well, enjoy your evening and remember freedom doesn't come free. hi..thanks for stopping by my blog--19 sounds so young to me but thats when i sold my first line too! Good work you two and nice blog!